GET MONTHLY DISCOUNTS COUPONS! Receive discount coupons directly in your email inbox, print them and bring them in! 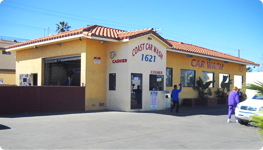 We are a family owned and operated full-service car wash and detail centers, located in Oceanside, CA. Our experienced staff, competitive prices, and exceptional customer service sets us apart as Oceanside's premier full service car washes. With over 25 years of experience in the car care industry, we provide customers with the most modern equipment and a well-trained staff of professionals. 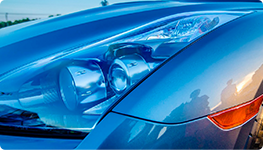 We offer a wide variety of services designed to protect your investment and keep your vehicle looking its best. 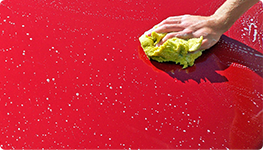 In addition to our selection of car washes, we offer professional detailing services for your vehicles. "Best car wash in San Diego! I did the complete interior package which is full service exterior and interior. They took such great care of everything they did. 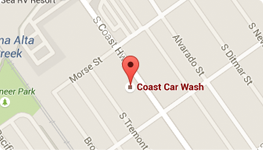 I highly recommend Coast Car Wash - heads and shoulders above the rest in Oceanside. Thank you!"